I am not going to lie. I think I may be turning into an after-school worker outer. I know this is sudden but I couldn’t believe how nice it was yesterday to ‘sleep’ in and how energetic I felt after school. I could actually remember my middle name and didn’t almost fall every 22 steps because I was still 1/2 asleep on my run. A short little treadmill run. My first spin class at BYU. Eat a delicious dinner and see how long I can sit on the couch without moving. Because my day has just been so exciting, the only think I have to share with you today is the potato I brought for lunch, I am on this whole new ‘pack your lunch in 20 seconds’ thing. My winter coat does not come off all day long. Ryan Hall WON the Olympic time trials in 2008 and placed 10th in the Beijing Olympics and is back again on Saturday to compete for a spot on the USA 2012 Olympic Marathon team. If you have ever watched any clips about him or seen any of his interviews you know that Ryan is a very smiley and happy person. He has a strong love and passion for running and it is quite contagious. Ryan Hall is 29 years old and was born in Big Bear Lake, California (Billy and I go there at least once a year and love it). He started running competitively as a high school junior and was the Cali state cross-country champ in his junior and senior year. Ryan finished THIRD in nationals and ran a 4:06.15 mile as a junior. He then went on to run at Stanford University where he graduated with a Bachelors in Sociology. During this time he had some injuries but also took an NCAA Championship in the 5000 meters (13:22.32) and was also the Pzc-10 Cross Country Athlete of the Year. In 2005 Hall was picked up by Asics as a sponsor and in 2006 he ran the Great Cow Harbor 10k in 28:22!!! Here’s where things get crazy…..Hall has the US record for the half-marathon in which he ran it in 59:43. This time made him the first US runner to break one hour in the 13.1 mile distance. Hall went on to run the London Marathon in 2007 and ran it in 2:08:24 which is the fastest debut marathon ran by an American. In 2008 he earned his spot on the Olympic Marathon team with a win of 2:09:02 in New York City and ran a 2:12:33 in Beijing. (Source) My leg muscles look just like that. Let’s fast forward to 2011….BOSTON (remember how I was supposed to be there…I will forgive you femurs). Ryan hall took fourth place overall and ran the fastest marathon ever by an American in 2:04:58. What do you think….will he win the time trials AGAIN?!?! When do you plan out your workouts when you are not following a specific training plan? Do you plan them by the week, month or day? -I figure out what I want to do the night before! What is on your agenda for the rest of the day? If you pack your lunch, what have you been bringing lately? (I got really sick of ginormous salads and I am looking for new things to bring). I plan them by the week, depending on what my week looks like. We usually go to the gym after work, but if its a busy week I might do a couple morning workouts at home and I always schedule one rest day during the week – usually on a busy night. Finishing work, going to the gym, making supper, blogging and (finally) watching new TV shows that are back! I usually go home from lunch and have been eating leftovers or soup, but a few other favs are hummus and veggie sandwiches, scrambled egg and veggie wraps and fruit/pb sandwiches. Oh my…thank you so much for the link! That is incredible! I love that he raced himself! A 4:46 pace…WOWZA! I have a pretty set schedule of workouts–just because I teach so much. But on my “off days” I do runs -short, fast and core work. And a REST day! What a cool marathoner–wow. Those legs. Amazing. HAVE YOU SEEN the Ryan Hall Boston Marathon training video ??? Omg. I swear, his legs move like the wind. That potato — I do declaaaare. Out of curiosity, did you bring a raw potato to eat for lunch? I eat raw potatoes all the time but people usually think it’s gross, so I got excited that maybe someone else liked them too! Also, did you ever see that YouTube video of people trying to “race” a video of Ryan Hall for like 100 yards in the airport?? It is awesome!! It was raw but then I cooked it in the microwave. I have never tried it raw…I am going to have to now! I just watched that video and it made my day! He is incredible! I love that he raced himself ha! Seriously, raw potatoes with a little bit of salt (peeled of course!) are yummy! Annnnnnd maybe this is weird, but they work great for endurance events too! I take a few potato slices, washed and dipped in a bit of salt on long backpacking trips or hikes. Works great! My lunch today was a, um…I don’t know what I would call it, but it was a flat bread-chicken-black bean-cheese-spinach half. It was soooo good! I hope that you have a great afternoon! 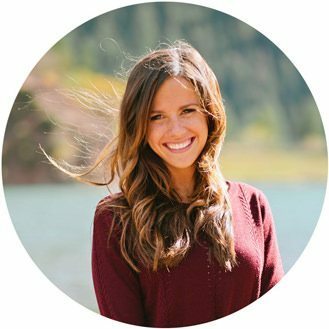 Do you teach at BYU at 6am or 6pm? Do you know if the class is full? Hey! I don’t think it is full! I am subbing tonight at 6 but my normal class is tomorrow at 6 am! I would love to meet you! I have had a rough time with morning workouts lately too!! I finely quite fighting it and just go after work now. My motivation might change, and if not, that’s ok. I plan my workout the day before, except for runs. I do those T, Th, Sat. Unless the weather is bad, then I might have to move a run around. Lately I have been packing roasted turkey sandwiches. I cooked a turkey breast in the crock pot and had several dinners and lunches out of it! Also, veggies and hummus, oranges and clementines, nothing really interesting! At my old job I used to work for this client in Santa Rosa, California. I knew the daughter of our main contact was a runner, but I didn’t really think much about it at the time… Until I was reading the RW article last week on Des, talking about her rival in California growing up, Sara Bei (now Ryan Hall’s wife)… Um, my client was Sara Hall’s dad!!! So crazy! And now I wish I would have asked more questions, to meet her, etc!!! AHHHHH…. My mind. was. blown. He did a great interview with Marathon Talk (my favourite podcast) – especially the way he doesn’t set any limits on himself and always pushes himself beyond expectations. I take leftovers or soup to be heated up in the microwave. I much prefer hot food if I can possibly get it! I am the worlds WORST lunch packer! I end up with the most random mix. I am most definitely “that gal” at work! I’m volunteering at the trials on Saturday and am SO excited to see Ryan Hall and all of the other speedy peeps! I’m so going to live vicariously through them as they fly by!! Wow, that leg pic of Ryan Hall is crazy in a cool way. Dude has like 0% body fat. I love seeing muscles working hard like that. My leg muscles look like Ryan Hall’s. Not. I hope Ryan Hall wins! On a run around Thanksgiving, I actually passed him on a run. Not even kidding. Totally made my day. Holy smokes those legs in that side profile shot are UNBELIEVABLE! It takes about 60 seconds to prepare the night before. What a beautiful falmiy Denise. And I am so glad that He is God and that He is in charge. We’d all rather control and contrive than let Him do what He does best. I will pray for you that you will be comforted. And I am so proud of Ryan and his answer to such a noble calling. God bless your falmiy and reunite you soon in the shelter of His love.Thank you for raising a warrior! I pray for courage for Ryan—that He will stand tall and brave to fight, first for God, then for his fellow man. I have been making english muffin pizzas for lunch lately! I make them after my runs in the morning…so easy. Tomato sauce, mozz cheese & turkey pepperoni on the muffin split in half, bake at 350 while I’m getting ready! I am like you too and plan my workouts the day before or sometimes the day of. Lately I haven’t been following much of a plan which is kind of nice for a change. If I am not on a training schedule, then I usually just plan out how many times I want to work out and how long I want to run on the weekends. That way I am letting myself be open, but not allowing too much leeway so that the workout might not happen. The rest of the day for me…well I might do some cross training, and I might go grocery shopping. I for sure have to walk my dog. I usually always pack a lunch and my go to lunch is: roast beef sandwich, carrots, grapes, cheese stick, and crackers. When I want to shake it up I have been having corn dogs! My brother is running the Houston marathon and plans on getting Hall (and anyone else too!) to sign his bib! I dream about my workout plan at work…. I usually make dinner and bring leftovers for lunch lol Lobster Pasta from Costco was on my list! (frozen Lobster meat on sale = win + veggies red sauce and noodles) pasta re heats super well… so does rice and veggies, again I think I posted about another Costco find recently – Chicken Red Pepper & Spinach sausages. These were delicious with rice and reheated well!! Umm your potato is HILARIOUS!!!! I hope you didn’t eat it raw and that you added some delicious toppings?? Oh man, I tried to do an evening workout last night (I am a morning runner) and just barely survived 3mi. Today I ran at my usual time…and did 14mi at 2 minutes per mi faster than last night!! Crazy about our habits. Have you tried chilis or soups? They reheat well, are warm in the winter and can be super veggie-ful. the last photo his calve muscles seriously look like a poster showing all the tendons in the calve- wow! I hope he does. Ryan Hall is literally my favorite runner ever and I cannot think of anyone who is more amazing in the running community. He is just so happy and you can tell how much he loves running! Ha! Your potato cracked me up. What a twisty-goo. I like Ryan, but after the Beijing it is so hard to get excited about the US men’s marathon. I think the women have some real medal potential though! Thanks for the Olympic spotlight! Ryan Hall is pretty amazing. Workouts: I figure it out the night before but have a lose idea for the whole week. Lunches: Leftovers lately, sandwiches with hummus and veggies, salads. I usually take BodyPump on Mondays and Wednesdays, do cardio on Tuesdays & Thursdays, and strength train of Fridays. And sometimes I throw some yoga in there too! HOLY LEG MUSCLES!! I can’t even imagine having stems like that! Sleeping in & afternoon workouts > getting up early & pre-work workouts, in my opinion. I find I’m more rested, and I’m more present mentally in the afternoon than I am first thing in the AM, so I get more out of my time! I love marathon training because it forces me to have a plan, otherwise, I just do whatever comes to mind, and that usually means SLACKING! That last picture of Ryan is some serious muscle. Dang, Ryan! OK sorry to be so off topic, but have you seen the pic on Pinterest of the oddly shaped potato? It looks like a part of the male anatomy. So funny! How exactly did you go about eating that potato? During the week, when I’m not training, I pretty much just do the same thing every day: run for an hour. The rest of the day (now night) will be spent lounging with the pup. I plan my workouts by the month (at least), even when I’m not training for a race. I’ve been doing the same classes forever and I super love them. Up until this semsester I’ve been able to plan my school classes around my gym classes. I have to change everything up this Monday and I’m not looking forward to my new routine. I also have to start packing my lunches so I’m thinking turkey and spinach on bagel thins. I’m plan my workouts weekly. I find if I don’t, it’s too easy to find an excuse to get out of it. Plus, I can mix it up and find things to look forward to. it gave me goosebumps reading about him. i cannot even fathom a sub hour half marathon. he is amazing. the rest of the day ill be at work…just got here! my day has barely started! I love leg muscles. Enough said. HOLY COW!!! He is amazing, unbelievable…WOW! If I’m not training, the workouts are day by day. Historically, even when I am training, the workouts are day by day:) I’m home, everyday. I don’t get to pack a lunch. Sometimes I think it would be fun. But I always make my morning snack – protein shake- when I make my husbands for him to bring to work, so it’s ready for me exactly the moment I want it! OH MY GOSH IT LOOKS LIKE THOSE MUSCLES WERE CARVED INTO HIS BODY. I’m a late night runner myself. I like to hit the streets around ten in the evening! 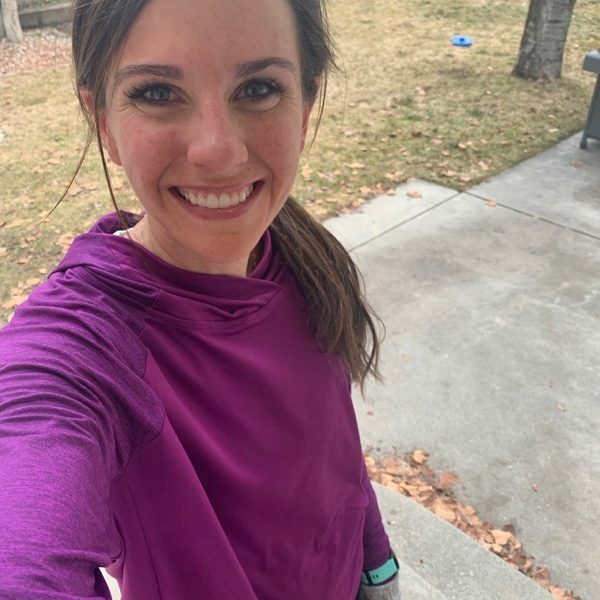 I find it very relieving to not define if I am a morning,afternoon, evening runner…this way I don’t feel disappointed if something comes up and I have to change my run to a different slot on the agenda (this happens often with 3 kids)…I have been know to hit the gym at 10pm if necessary. I usually check the gym group exercise the night before to see what I’m excited by. Its the same every week but I go more on gut when not specifically training. For lunch I love to pack (ha this is for my kids) I work from home…hummus, tuna, carrots, sliced peppers, chickpeas, etc etc(or the makings of lettuce wraps…) throw in some crackers and peanut butter and apples…I assume they have a great time making new combinations… They make all kinds of bento boxes now that make bringing a bunch of messy things easy! You can cut a bunch of stuff up ahead of time and throw it in quickly. I have been making a big pot of soup or chili on the weekends and bringing it to work all week with some bread or a roll. Having to wash the tupperware stinks, but soup is so filling and comforting – and cheap to make! I love the blog! You’re so inspiring! When not on a training plan I plan them the night before- or sometimes right before, lol. Can’t wait for this weekend. So excited! Ryan Hall is totally my favorite athlete – both because of his performance and because of his values. I totally dig that guy. I discovered falafals (sp?) this week…OMG..I don’t know how bad it is..but they are sooo good. I can’t wait for the trials! I just with we had cable to watch, lol! I usually have a general idea of what I want my workout to be…but when it comes time to actually doing it I seem to always change my mind at the last minute. I like to set my goals low so that I feel super awesome when I wanna keep going haha it’s perfect because I always end up doing more than I thought I would which equals double the endorphins and happiness! I definitely plan them the night before, and decide exactly when I am going to do it (but usually the ones I plan on doing really early in the morning never actually happen). I met with the friend this morning for a 6-mile hike, so I couldn’t flake! 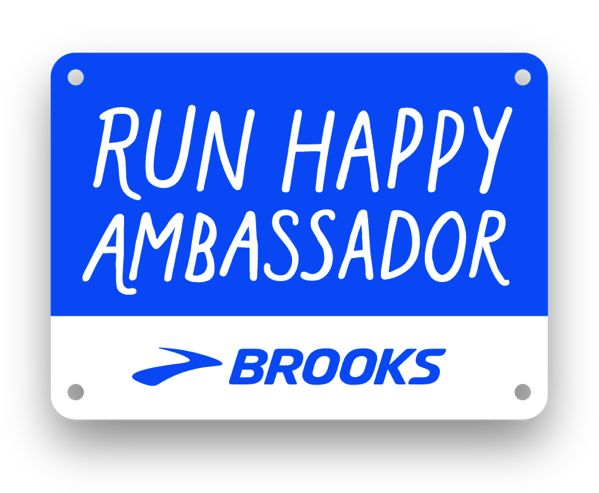 The smiley personality and infectious love for running…sounds familiar…oh yeah YOU. You’re the female Ryan hall! Also I had no idea the one hour mark had been broken by anyone for the half. Geeeeeeeeeeeeeeeeeez. I can keep going with the e’s. So I just joined a running club and my coach is going to the trials in Houston this weekend. And the club is hosting the race walking trials which are being held in our city! So awesome. Its all about leftovers for lunch! I’ve been cooking extra dinner and packing it up in the night so my lunch packing time in the morning is a big fat zero :D! I’m in awe of these runners- so freaking speedy! ok that potato looks like a growing fetus!! 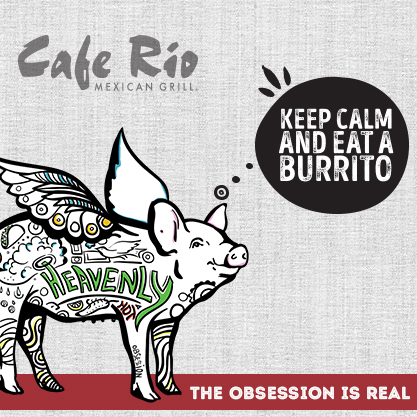 :) seriously…ONLY reason why I couldn’t eat it! Go RYAN!!! He’s my favorite! I plan the night before. Sometimes it changes in the morning depending on how I feel. ummm…maybe I won’t run today, maybe I will, nah…Ok, I will. That’s my self-talk. :) Have a good nite!! Hope Billy is feeling better! I hope he has a good run at the trails, I will be listening with interest (more so that how makes the South African team!!! Now running in the more is great, but not for sessions, just for an easy recovery run, so I hope to read about you becoming a twice aday runner!!! God his calves! He is NOTHING but pure muscle! I think ryan needs to tone his legs up a bit. :-P haha no, Ryan’s my favorite! I’m kind of sad that he’s married because I’m just so in love with him. He loves running SO much and doesn’t just do it for himself either – he and his wife have the Steps Foundation to fight poverty! I think when I’m able to race again, I’m going to run some of my races for their charity. And yes, I think Ryan’s got the best shot at a first-place trials finish! If not, I’m sure he’ll be on that team in one spot or another. I’m routing for Dathan Ritzenheim to make the team as well! Afternoon workouts ARE kind of fun sometimes!! I have to run in the mornings during the school year, but in the summer…well I still run mornings to beat the heat, but I love doing evening runs at like 7-8pm when the sun’s going down too. Usually when I’m not training for anything – like right now when I’m coming back from injury – I have the AMOUNT of running planned out, but the cross training usually gets decided….um when I get to the gym haha. I am not an intense workout girl but when I do I just play it by ear and decide that day. Thursdays are my “easy day” – I only have to teach one zumba class and then do my personal workout (bodyrock 30 day challenge). Teaching for the rest of the day, cheer practice after school, zumba, bodyrock, dinner, time with Daniel (probably watching the big bang theory). I pack my lunch every single day. This week I’ve been doing lettuce wraps with turkey or chicken, cottage cheese, zima tomatoes, and pickled red onions. They are awesome! I plan them weekly when not following a specific program. Haha poor potato! I pack my lunch and usually it’s snacky style because I’m too lazy after making dinner at night to pack anything really… Veggies [raw or salad form], a piece of fruit, yogurt/ string cheese/ deli meat, chips/ pretzels, and some type of dessert :) Easy-peasy is the name of the game! I can’t wait to see him run on Saturday! J – I was running in BigBear and this dude FLEW by me running, with another on a bike next to him. It was Ryan Hall. It was SURREAL how fast and quietly he passed me. Ryan Hall is crazy fast!! Whenever I am running I think about how that guy can run a 4 minute mile and it definitely makes my legs move a little faster! I plan the weekend before the week. I often see how long I can sit on the couch without moving!